These are the first words of the haunting book Almost Autumn. But it’s not just summer that’s over. It’s life. Jewish lives. Almost Autumn takes place in 1942 Norway. Germany is in control, and they are beginning to round up all the Jews of the city. 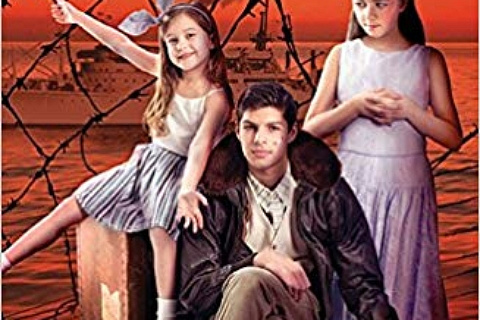 This is bad for the main character, Ilse Stern, and her family, who are all Jewish. It’s bad for Ilse’s friend, Hermann Rod, who’s working in the resistance. It’s bad for all of Norway. It’s bad for all of the world. I’ve always been interested in World War II, partly because I’m half Jewish. My ancestors died in the Holocaust. It doesn’t keep me from reading all about these horrible events, though. It’s gruesome, but it’s also interesting. Intriguing. I was especially drawn to the Jewish characters in this book. There were three main ones: Ilse, her father, Isak, and her sister, Sonja. Isak and Sonja are both taken to a concentration camp midway through the book, which was actually something I hadn’t seen a lot before. Most Holocaust books I’ve read were about the resistance or Jews hiding from the Nazis. Very few ventured into what it was like to be in a concentration camp. An interesting thing about Almost Autumn is that it was originally written in Norwegian, but translated into English. This makes the language even more strange and beautiful, but it’s not choppy or hard to understand. I actually didn’t find out that it was a translation until after I’d read the book, and it totally surprised me. One of my favorite things about this book was that it switched perspectives. There was Ilse’s perspective, that of a Jewish girl hiding from the Nazis; Hermann’s perspective, that of a boy empowered to resist; Sonja’s perspective, that of a girl holding her whole family together in the worst of times; Isak’s perspective, that of a man who could not save his loved ones. And, my personal favorite: the perspective of the Sterns’ neighbor, Ole Rustad, who is wracked with guilt over his work as a cab driver for the Nazis. Another thing was the beautiful description. Everything is metaphorical, representing something deeper. The language is beautiful and poetic. 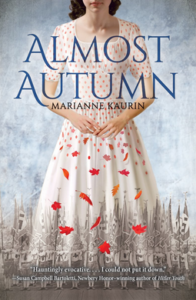 Marianne Kaurin has crafted a haunting and lovely book, telling five different closely entwined stories that perfectly blend together to create the work of art that is Almost Autumn. In conclusion, this book is one of the best I’ve ever read. It dives deep into many perspectives of the Holocaust, exploring each story with hauntingly beautiful language. If you are interested in the Holocaust and World War II, like me, this is the book for you. 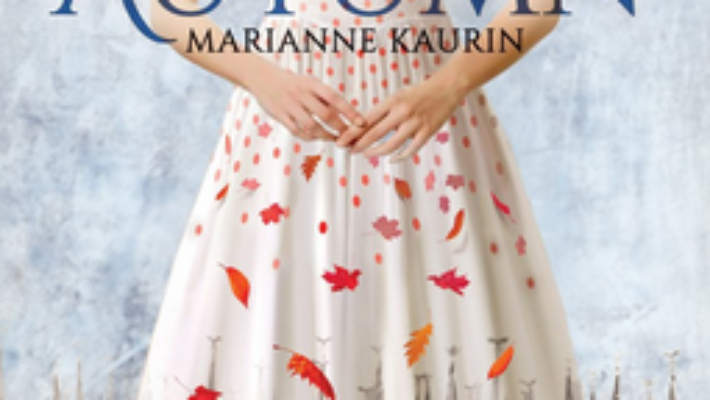 Almost Autumn by Marianne Kourin, translated by Rosie Hedger. 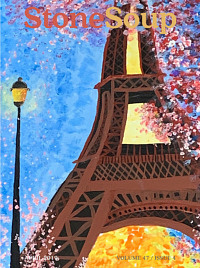 Arthur A. Levine Books, 2017. 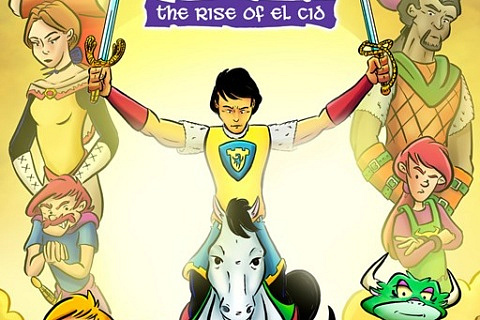 Buy the book here and support Stone Soup in the process!